A week of looking at all of the various No. 1 issues in Amazing Spider-Man concludes with my latest edition of Gimmick or Good? at the Comics Should Be Good blog. 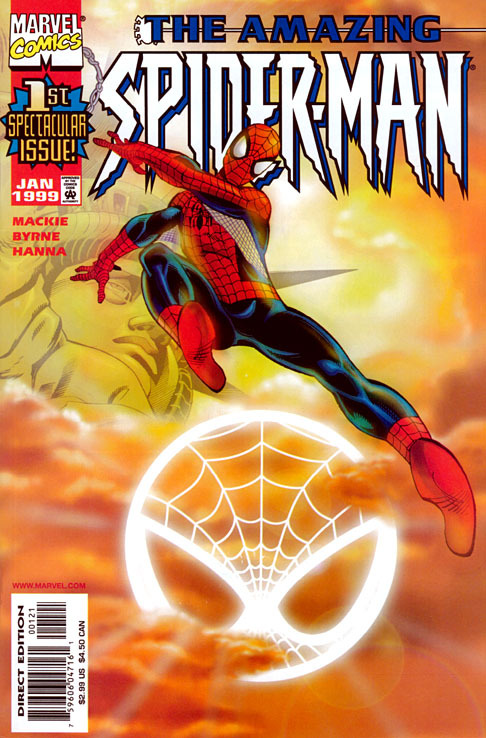 This time around, I write about Amazing Spider-Man #1 vol. 2, the kickoff of the “ballyhooed” Howard Mackie/John Byrne era. In addition to being a major series relaunch, this comic also sported a second “variant” cover by John Byrne. Did I find it to be a gimmick, or good? For a full listing of my Gimmick or Good? columns, click here.